Our new location is in Arvada, Colorado just 20 minutes from Boulder County and 20 minutes from Denver. We are a few blocks West of the Arvada Police Dept. No walk-ins allowed! Visitors must make an appointment. Please use the door located at the rear of the building, the front door is for another business so please do not use it. Classroom is in the lower level. Upon arrival please proceed to the lower level. We are the office at the end of the hallway. There are other occupants and businesses at this location so please be courteous and do not interrupt them. The Class room portion of the course is in Arvada, and the Shooting portion of the course will usually take place at the Silver Bullet. Discounted fee for shooting at the Silver Bullet with Mr. Duran is $12 per person. The Silver Bullet is only 15 minutes from our Arvada location and is a very professional and safe environment for our students. 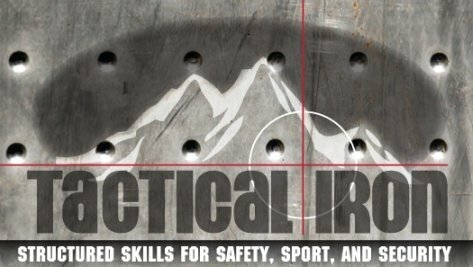 Tactical Iron Firearms Training serves Boulder, Louisville, Lafayette, Erie, Thornton, Brighton, Broomfield, Wesminster, Arvada, Superior, Northglenn, Lakewood, Wheat Ridge, Golden, and the surrounding Denver, Colorado Metro Area.